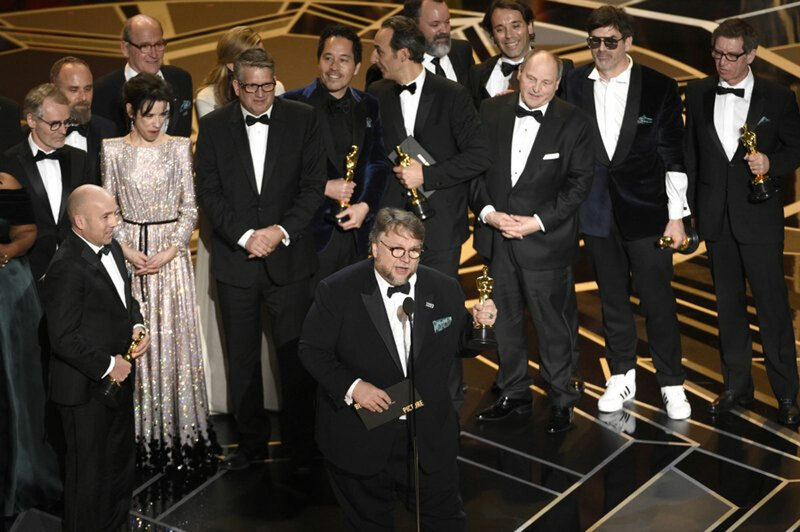 Against all odds, love won out at the 90th Academy Awards as Guillermo del Toro’s lavish, full-hearted monster romance “The Shape of Water” swam away with Best Picture. The nominees signaled a renaissance. The winners told a slightly different story. Held one year ago, the 90th Academy Awards would have very likely been a rose-colored nostalgia fest. Against all odds, love won out at the 90th Academy Awards as Guillermo del Toro’s lavish, full-hearted monster romance “The Shape of Water” swam away with Best Picture and Best Actress winner Frances McDormand brought the crowd to its feet in a celebration of women. But Gerwig’s “Lady Bird” left empty handed, Rachel Morrison did not become the first female cinematography winner (the long-snubbed Roger Deakins got that honor finally for “Blade Runner 2049″ after 14 nominations) and Ford was not the first transgender Oscar-winner.